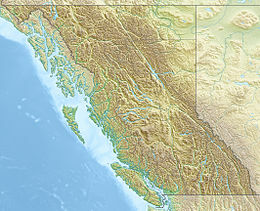 Roderick Island is an island in the North Coast region of British Columbia. To its west is Finlayson Channel, to its northeast Pooley Island, and to its south the Mathieson Channel and Susan Island. James Johnstone, one of George Vancouver's lieutenants during his 1791-95 expedition, first charted its north and west coasts in 1793. It was named by Captain Daniel Pender after Roderick Finlayson. ^ a b "Roderick Island". BC Geographical Names. This page was last edited on 19 November 2018, at 20:22 (UTC).